One Twig at a Time! Seems like it would take weeks to build a nest with bringing small twigs like this, but they are persistent when going out and gathering the twigs. And it's pretty cool when this one gets to the nest, as the mate then grabs it and places it where it belongs. The egret nest, to me, seems to be the weakest nest of them all, but guess it's enough to hold them and the little ones for the duration. Wonderful capture! 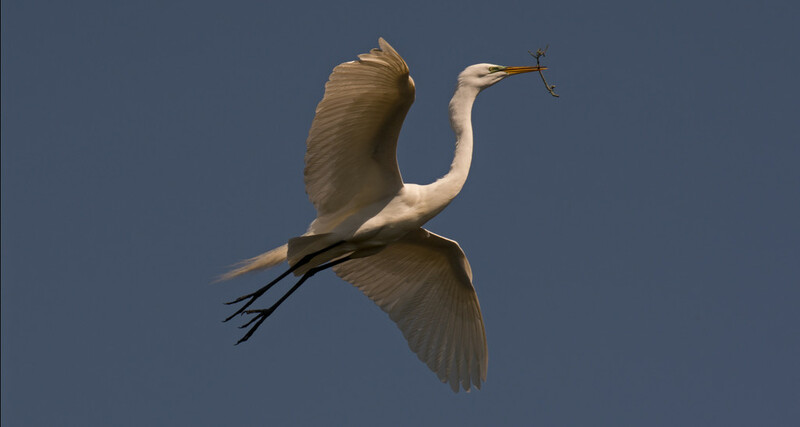 I have wondered the same, sure looks like it is very tedious to gather enough twigs to build a nest. @flashster78 @joysfocus @amyk @ludwigsdiana @joannakate Thanks Lori, Joy, Amy, Diana and Joanna.